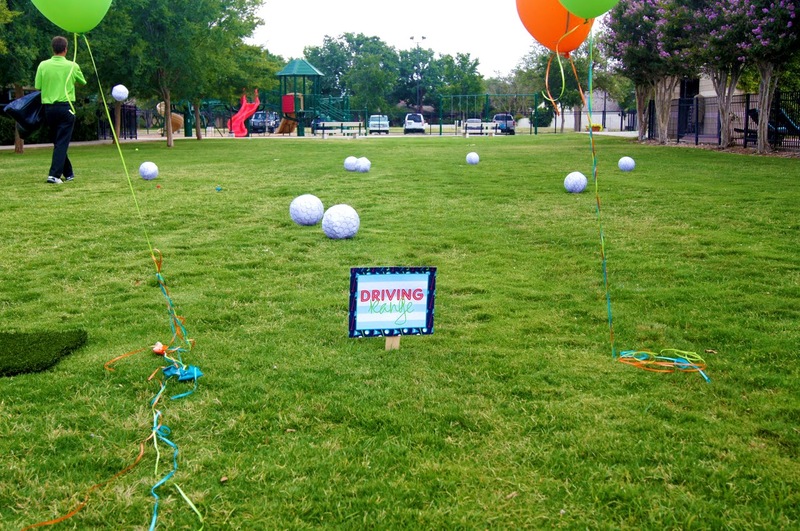 Nico and LaLa: An Adorable Golf Birthday Par-TEE! 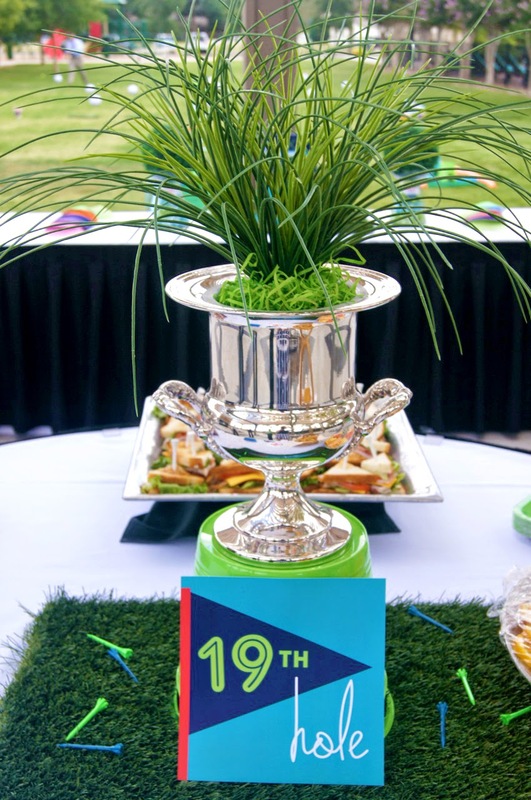 If there's one thing we've done well this summer...it's par-tee! 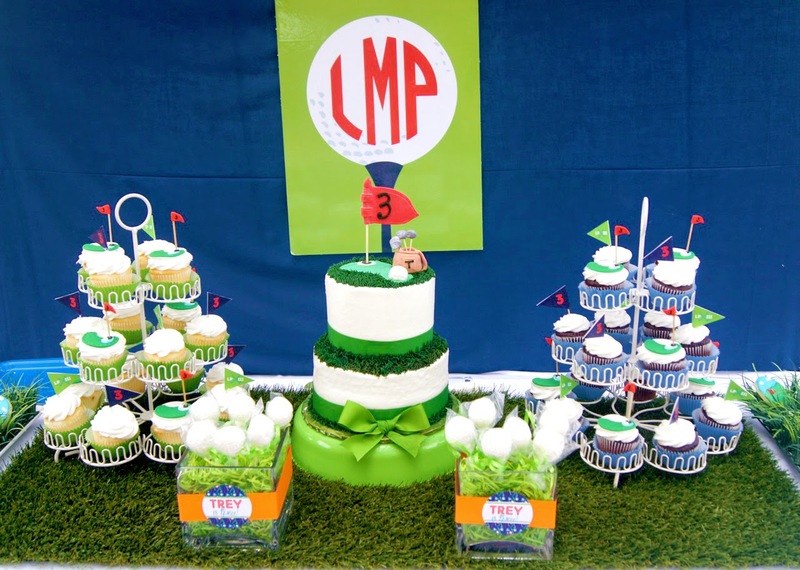 Golf themed birthday parties that is. 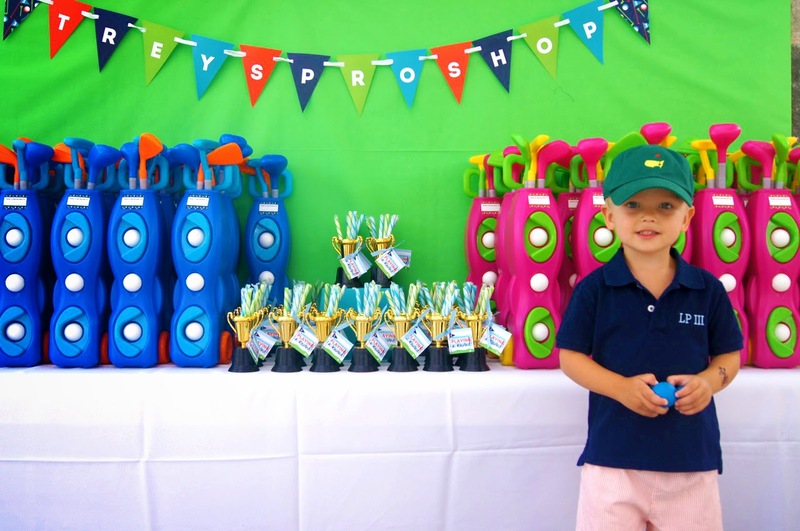 We started our summer off with a preppy pink and green golf birthday party that was beyond adorable! 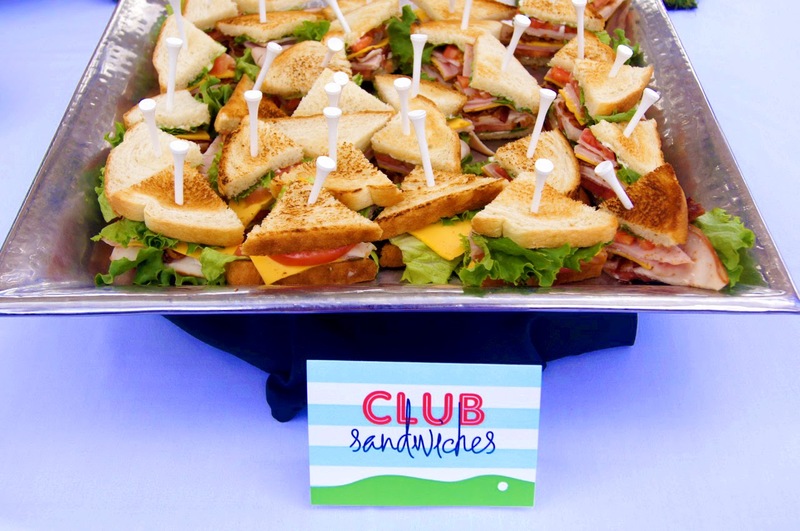 Fast forward a few months, and one of our favorite clients (who always goes above and beyond for her kids' parties) came to us wanting us to create something special for her son's birthday. 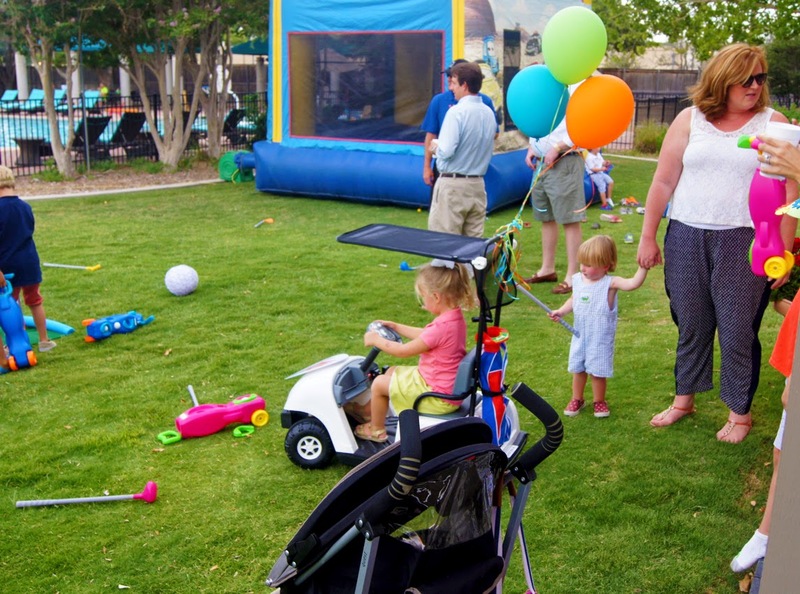 We've done Trey's parties for the past three years, and each year his birthday's get more and more fabulous! So we knew that starting with his invitation, we had to get creative! 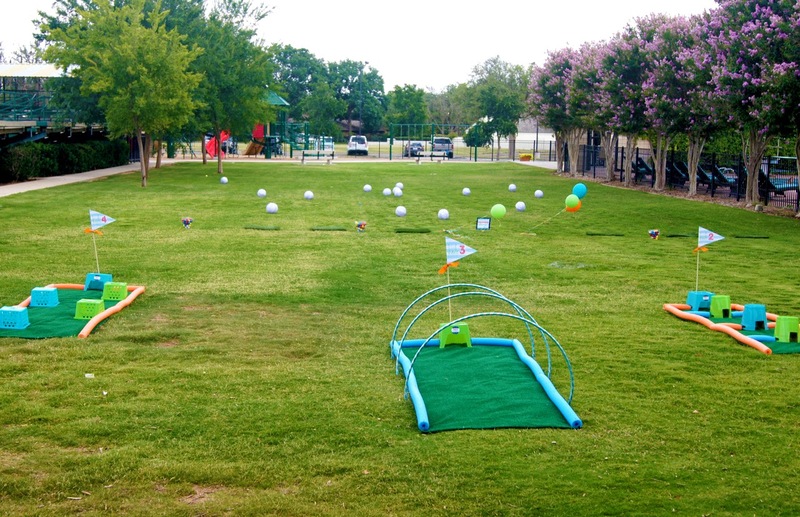 Check out the finished product below...it will make you want to par-tee!! 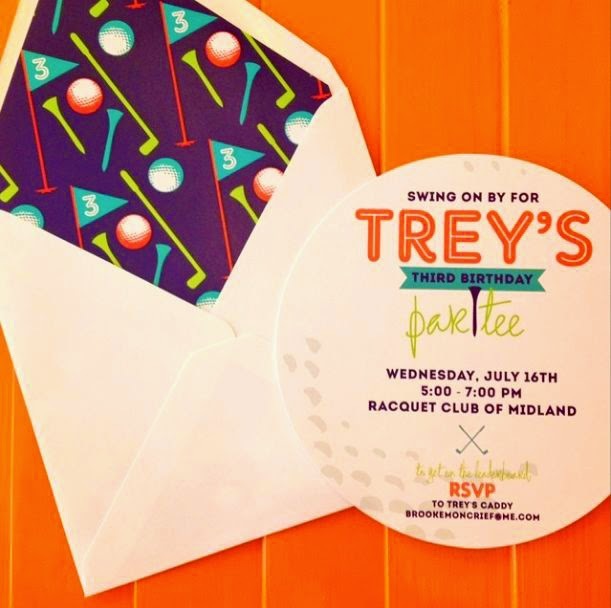 Trey's invitation was die-cut in the shape of a golf ball, and included a patterned envelope liner which included putters, golf balls, and flags in primary colors. 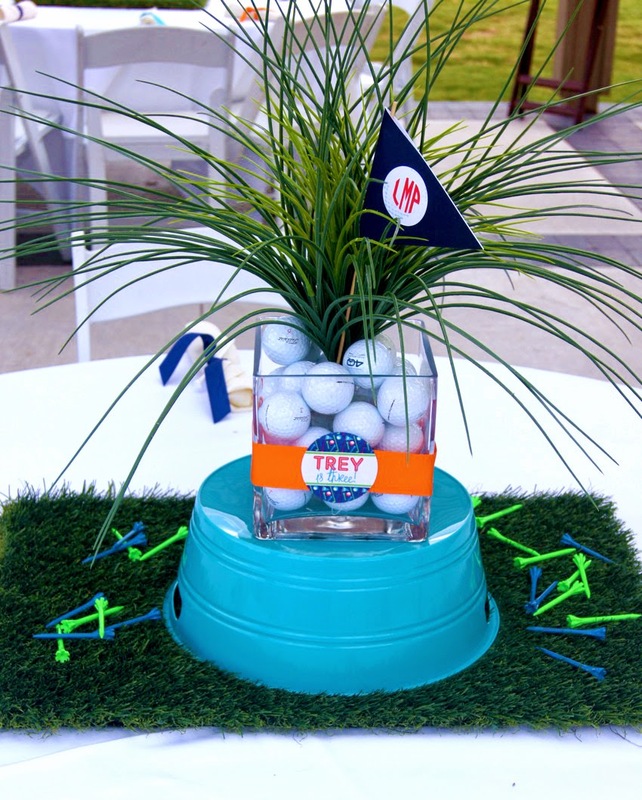 How awesome did Trey's sweet table turn out?! 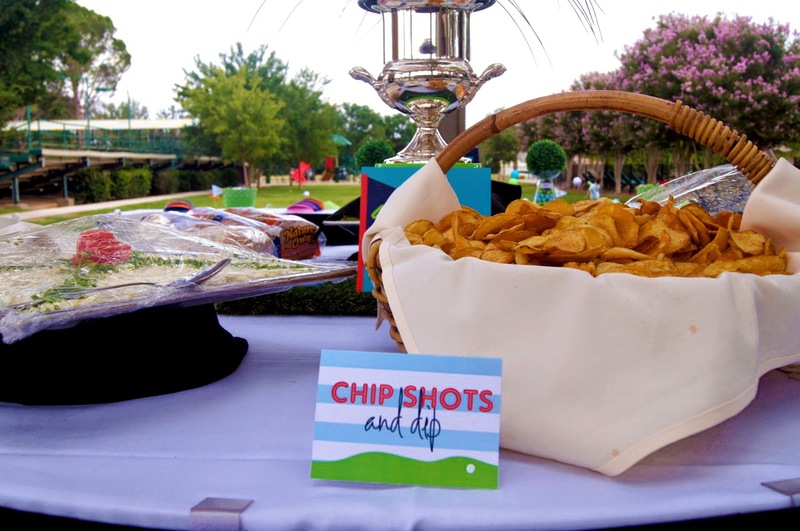 We love the creative goodies, with a monogrammed golf ball sign in the background! Such a creative backdrop! 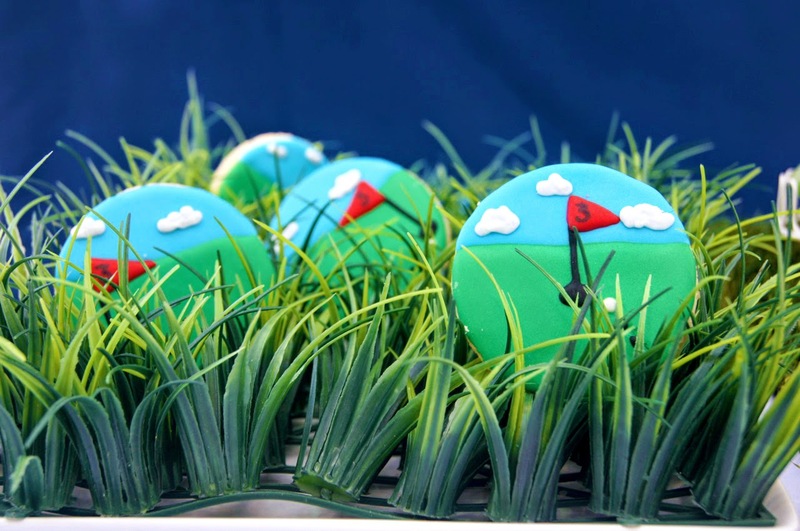 Golf ball cake pops....love this idea for this adorable golf birthday par-tee! 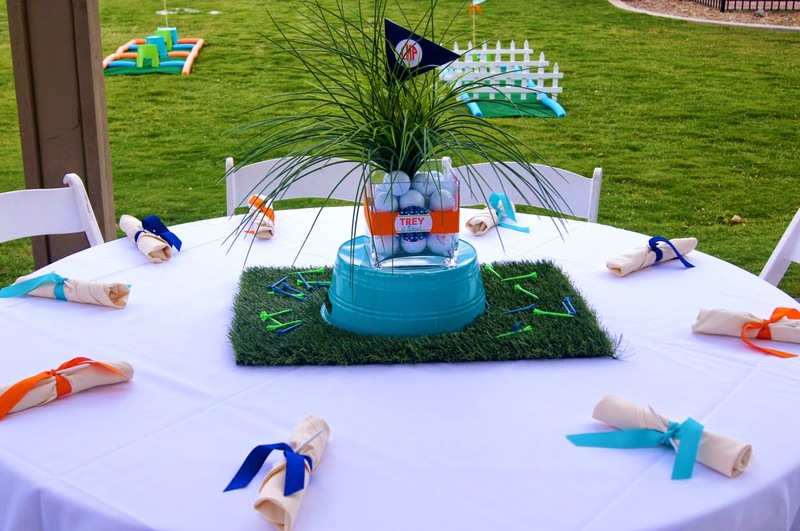 How cute is this favor table for guests? 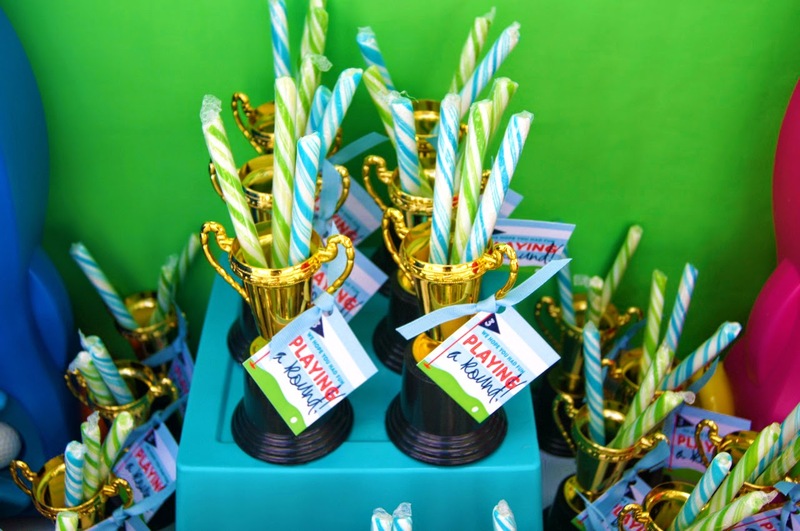 Each guest received a set of plastic golf clubs (personalized with a sticker nameplate) and a mini trophy filled with sweet treats! 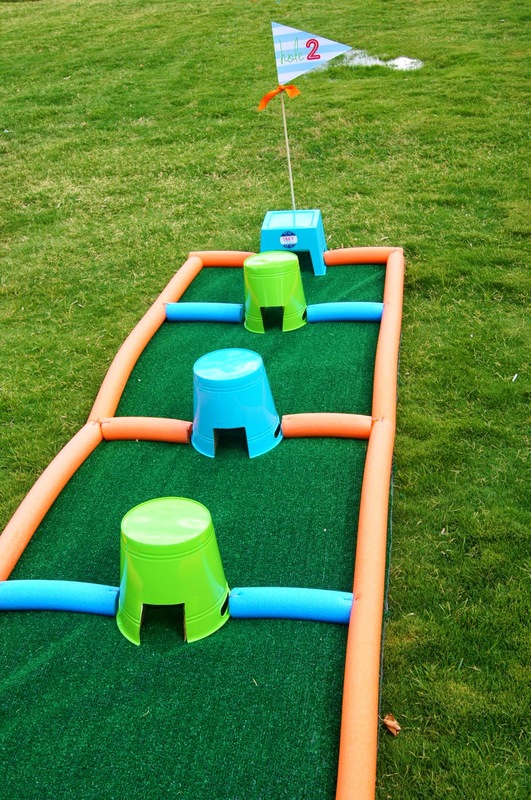 Trey's mom created a putting green for party guests! 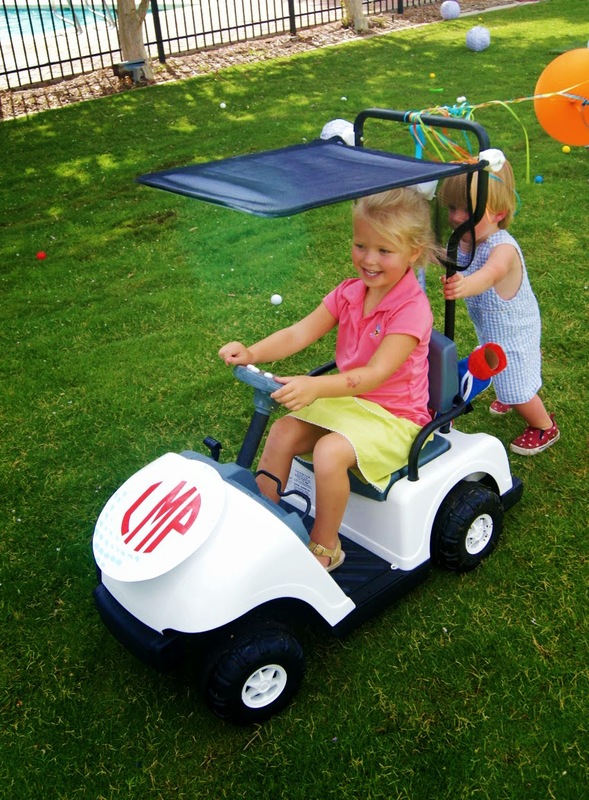 The mini golf cart was personalized with a monogrammed golf ball! Happy third birthday, Trey!! We love seeing our little customers grow from year to year. 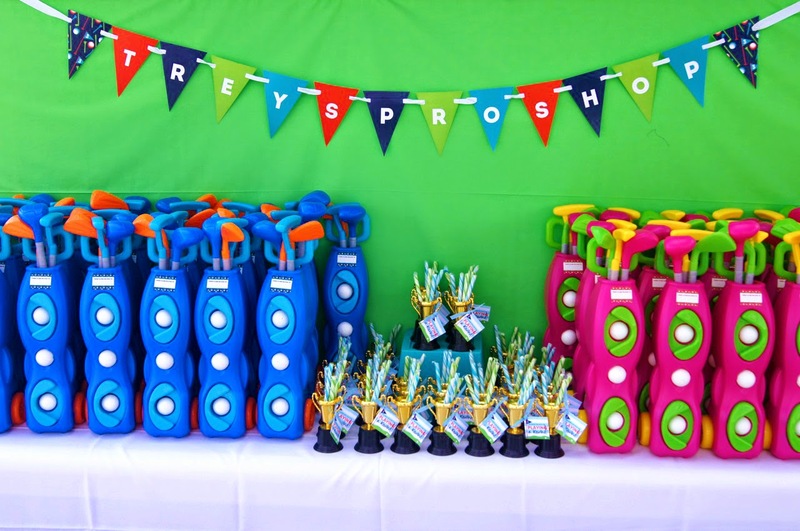 For more awesome birthday party inspiration, be sure to check out Trey's past parties! 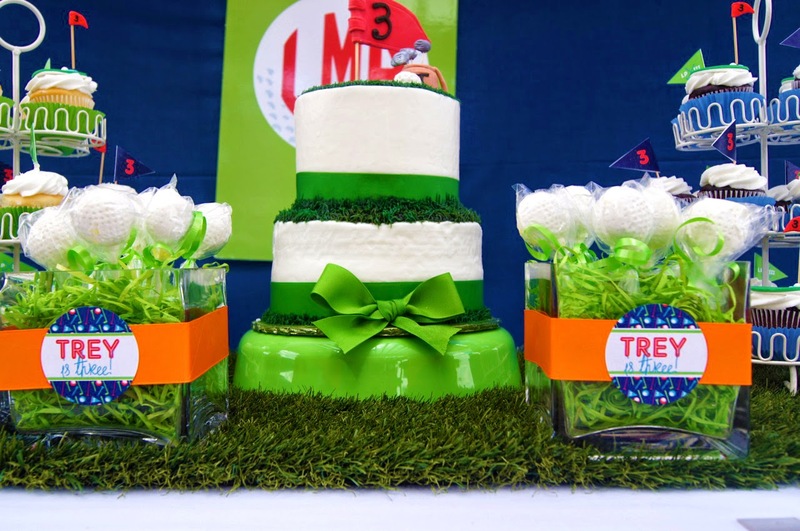 We love both his fun farm animal birthday party and nautical first birthday! 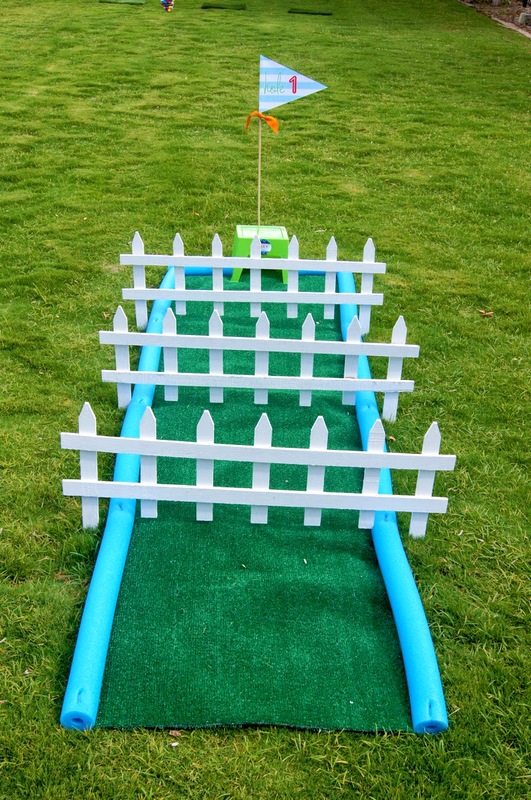 This has to be the coolest DIY mini gold course I've ever seen! It totally looks as fun for adults too. I love the makeshift go-cart too, very creative. 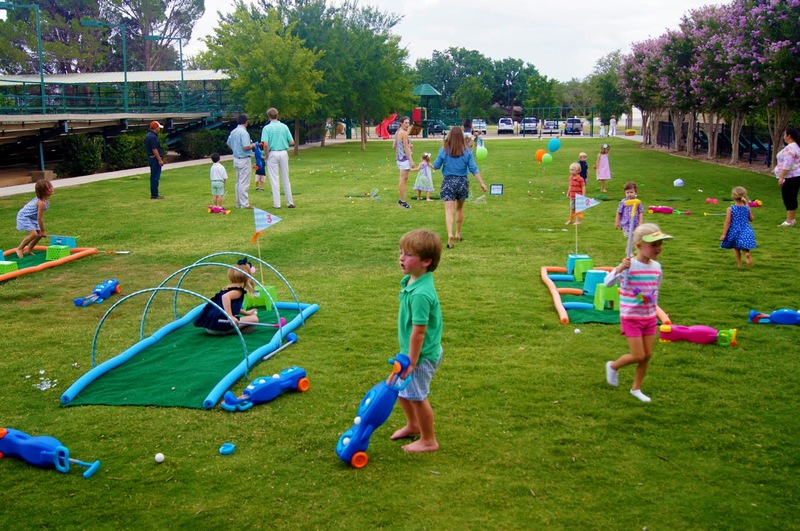 Where did you find the golf clubs for the kids? Where are these golf clubs from? How did you get the pool noodle borders to stay down?